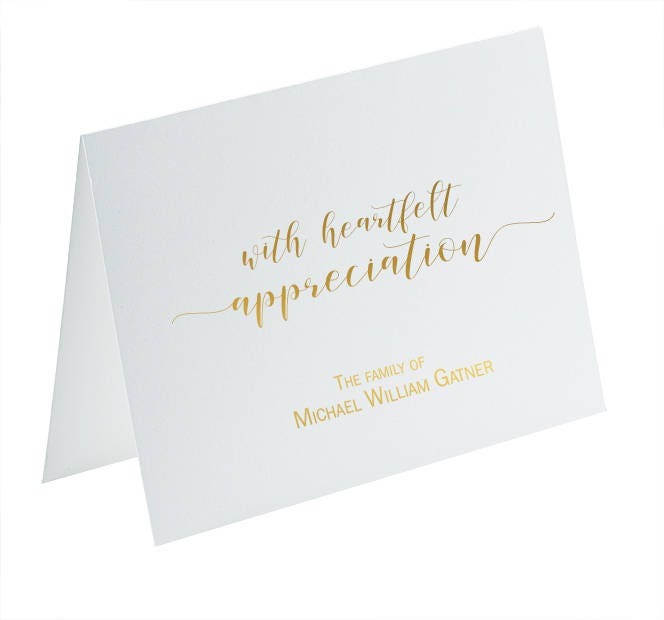 Please allow us to help you in one small way during what we know is a very difficult time with these beautiful, gold foil sympathy acknowledgement cards, which are classy and elegant. You may also add printing inside for between $5-$12 depending on the amount of cards you order. Please convo us for pricing and/or a custom order. -You will be prompted to leave this information when you check out. Please be certain your love one's name is spelled correctly as we will copy and paste his/her name. -Please select the amount you'd like in the drop-down menu on the right. They come in sets of 10, 20, 30 and 50. If you need more than 50, please message us for pricing and we can set up a custom listing for you. -In addition, for a small fee, we can print your return address on either the white or Kraft envelopes. Please make that selection in the drop-down menu when you checkout. 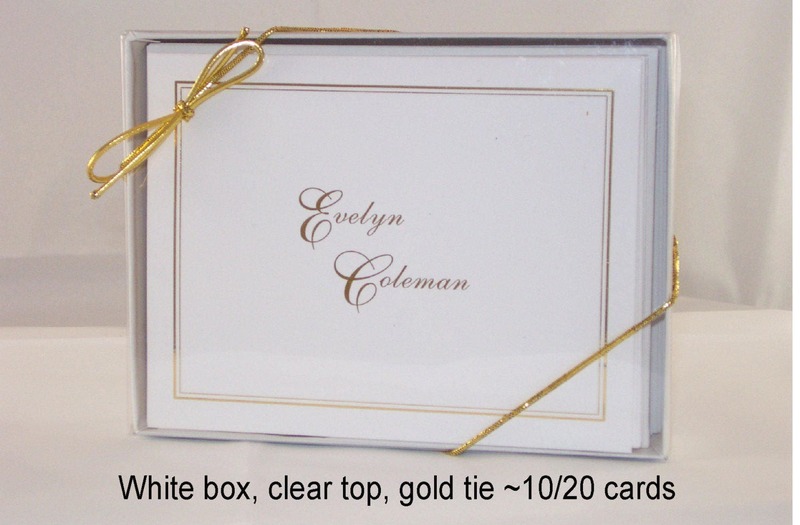 -These note cards measure 5.5" by 4.25" folded and are blank inside so you can write the perfect message. However, you can add printing on the inside for a small fee. Please message us for pricing. SHIPPING: When choosing "EXPEDITED SHIPPING," please know that that option does NOT bump you to the head of the production line. It means you are choosing a faster method for your shipping time (most like Priority Mail). If you are interested in a "RUSH CHARGE," and being bumped to the front of the production line, please message us about our rush charges and turn-around times. Thank you. 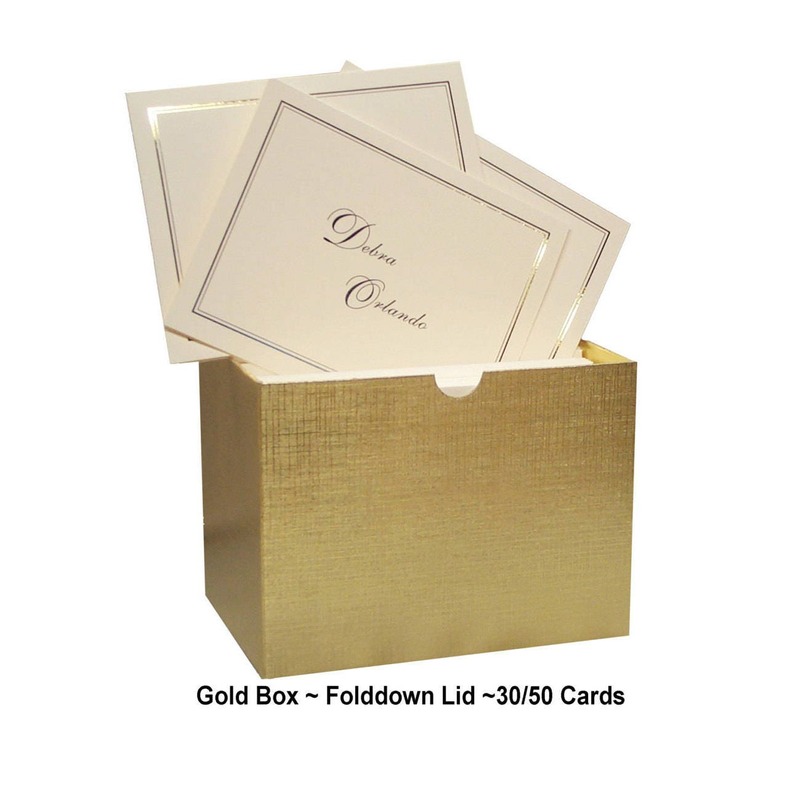 Lovely cards and impeccable service. Owner is very compassionate , kind and accommodating. Thank you, Mandy and team, for printing the beautiful bereavement cards. They were the perfect way to say thank you to so many who helped us. You were very easy to work with. The personalized back panel with photo and obit was beautiful. Many people have kept their cards in remembrance. Thank you for your beautiful work!